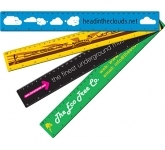 6 Reasons to use promotional rulers to promote your brand! 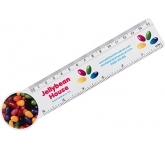 Why would anyone use rulers as promotional giveaways? 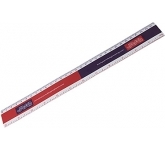 Not many people will use a ruler as often as they would a pen or a pencil. 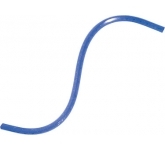 But that doesn't mean they're useless. A mathematician, for example, will use it for his or her job. 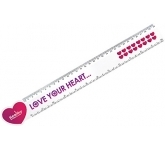 Schools can buy them for their children as back to school promotions and they are also highly popular as University promotional products for students. 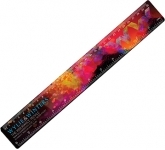 After all, anyone who works with pens or pencils will eventually need to draw a straight line! 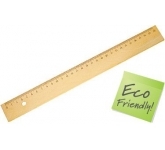 Plastic rulers are a stationery item that gets passed around, especially in an office where people regularly borrow them.. 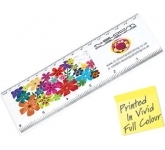 They will literally be passed around by dozens of people, giving them the chance to see your brand name and logo so you potential customers in that small environment alone. 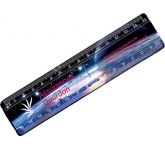 You can choose from a wide range of styles when it comes to rulers, from a folding ruler, scale ruler or even ones with built in calculators. 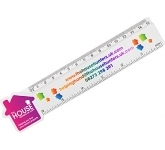 In terms of size, small 15 cm branded rulers can be good for just the basic company details with large 30cm rulers, like the ones used in construction or architectural planning, offer even more design room to work with. Whichever you choose they represent a great budget friendly way to advertise your business. 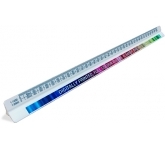 Transparent rulers are perfect for professionals such as architects and designers, as they can see what they're doing while drawing that all important straight line. 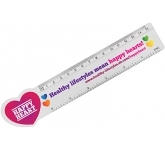 But if you're targeting kids, you might want to think in terms of multicolour rulers, flexible rulers or even custom shaped rulers to inject more interest and a touch of fun! 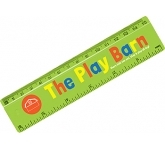 A child will more likely buy an orange or red ruler rather than a transparent one. 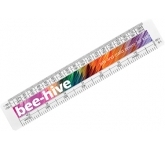 The best thing to do is to match the colour of the ruler to the design of your logo or your brand. 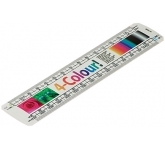 Coca-Cola, for example, will have red and white rulers, which incidentally have now become collectors items in their own right. 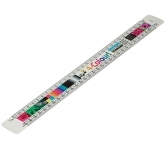 Therefore, design your rulers with care and watch them sell like hotcakes. 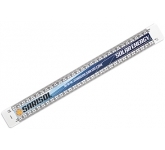 Rulers are a product that everyone can pick up and work with. 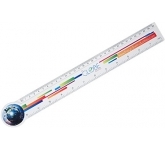 Children will use them for their schoolwork (and homework), while adults will have a more business-oriented use for them. For children you can even opt for puzzle rulers which feature an integrated puzzle to add an additional element of interest. 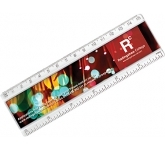 We offer a variety of printing options on our range of printed promotional rulers including screen printing right through to UltraHD print which allows us to reproduce your full colour images and designs to a standard most suppliers can only dream of achieving! 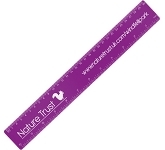 So, if you are looking for low cost, budget, value or cheap promotional rulers, and find the same product cheaper, just let us know and we will match the price and back it with our industry Award Winning Customer Service - that's our guarantee!! 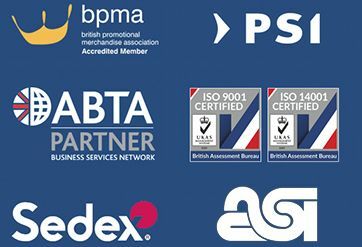 For more details on our rulers or how to use promotional products effectively to benefit your marketing strategy, why not contact us and have a chat to one of our account managers who will be happy to advise you further.